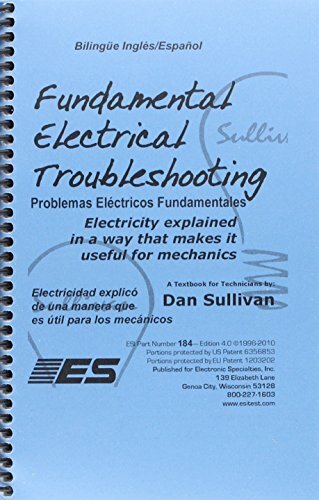 Bilingual English/Spanish 200 page guide to every aspect of electrical troubleshooting - explained in a way that makes is useful in the shop. If you have any questions about this product by Electronic Specialties, contact us by completing and submitting the form below. If you are looking for a specif part number, please include it with your message.